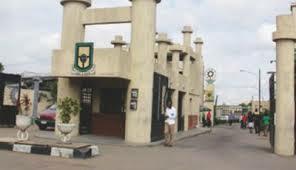 Yaba College of Technology, [YABATECH] Part-Time and Full-Time Students Second Semester Late Registration Fee and Deadline for 2017/2018 Academic Session Announced. The Authorities of the Yaba College of Technology (YABATECH) have announced the registration deadline date for part-time and full-time students for the second semester 2017/2018 academic session. Late Registration for all students (Part-time) starts on Thursday, 1st November, 2018, and ends 11th November, 2018. All part time students who are yet to register for the semester are to note that failure to register on or before November 11, 2018 will lead to an automatic carry over in second semester of next session. The College Management observed that some Full Time students are yet to conclude their registration for 2017/2018 Academic Session which ended Friday November 2, 2018. In view of the above, grace of ONE WEEK is being given to all concerned Full Time students to conclude their registration on payment of late registration fee of Five thousand Naira (N5,000.00) only on or before Sunday November 11, 2018. Kindly note that there will be no extension of date for defaulters. All students are hereby advised to ensure that they complete their registration on or before the above mentioned date. Any challenge during registration process should be directed to CITM office. NO LETTER OF APPEAL FOR RE-OPENING OF PORTAL WILL BE ENTERTAINED.